Industrial Pressure Transmitter which applies to compressors, pumping systems, hydraulic, industrial process monitoring, and irrigation system pressure. 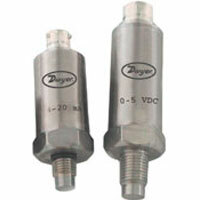 Pressure Transmitter is designed for harsh environments and suitable for high shock and vibration applications. Applications include OEM, HVAC equipment, and compressors. 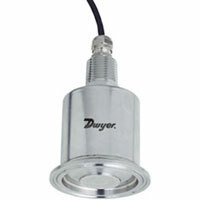 Fixed Range Pressure Transmitter is a low cost, fixed range, stainless steel transmitter. 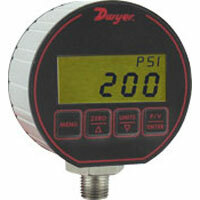 Designed to continuously measure pressure. Explosion-proof. 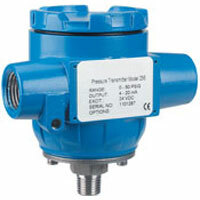 Weatherproof Pressure Transmitter is compatible with gases and liquids. 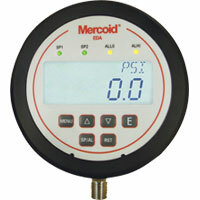 This model is designed for weatherproof service NEMA 4 (IP56). 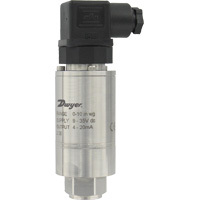 Sanitary Pressure Transmitter is designed for applications in food, dairy, beverage, and pharmaceutical processing. Has a unique no liquid fill diaphragm. 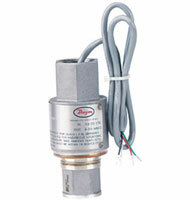 Industrial Pressure Transmitter is designed to withstand environmental effects like shock, vibration, and temperature. Applications include compressor control, industrial engines, and industrial refrigeration. Flush Diaphragm Transmitter is designed for highly cyclical conditions where flush sensor feature prevents inaccuracies due to build-up or blockage. 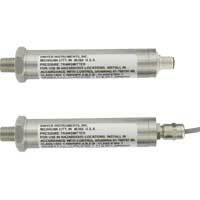 Low Pressure Transducer is used for applications where a very accurate low pressure transducer is needed. Used in liquid level, flood warning, and waste water. 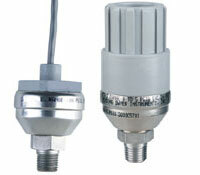 Pressure Transmitter is a low cost ceramic sensor housed in a compact, rugged stainless steel body. Ideal for OEM. Other applications include compressors, HVAC, and pneumatic sytems. 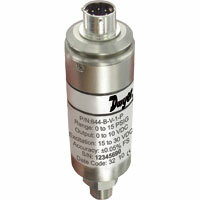 High Accuracy Pressure Transmitter is intended for precise measurements. Robust and compact. Applications include test benches, power generation, and transportation. 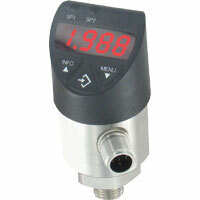 Digital Pressure Transmitter with Switches has a design that allows the DPT to meet specific installation requirements. Push buttons are larger and ergonomically designed. 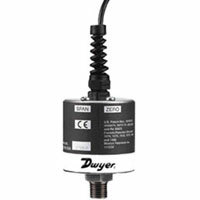 High Accuracy Pressure Transmitter combine high accuracy with stability and reliability for environmental tests and measurements. Consistent and has a great performance. 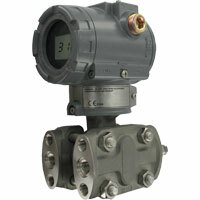 Industrial Pressure Transmitter is ideal for industrial pressure applications. 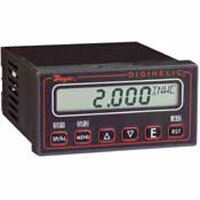 The design allows for stable operation when subject to shock and vibration. 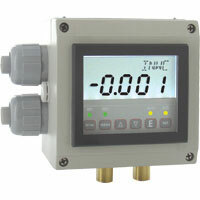 Industrial Weatherproof Pressure Transmitter is solution to pressure measurement. 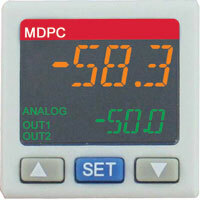 Ideal choice for petroleum, chemical, and metallurgical industry applications.